The heart is the central organ in the body, the life giver. A heart that is closed to minimize pain can become the catalyst for illness. Many people who show up in my workshops with angina, arteriosclerosis, or other conditions related to the fourth chakra have unknowingly shut down their hearts to protect themselves. They may not remember when or how their heart chakra shut down, but the price they pay is high. As I slowly healed from an upbringing that wrenched my heart and almost destroyed my ability to love, I realized that I had to develop a new capacity. I began to test and explore the strength of my heart by unabashedly exposing it to the changes and growth playing out in my life. I regularly “took inventory” of my heart chakra to stay conscious about remaining open to loving and being loved. If you are not attracting love into your life, you might ask yourself if your heart is truly open to love or if you are harboring and feeding old hurts. Taking personal inventory is a powerful way to see if your heart chakra is open or closed. How am I holding love back? Why am I withholding love? 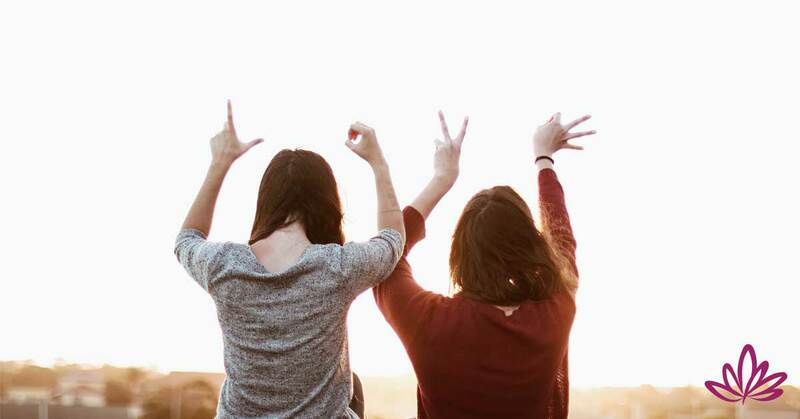 Could I be more loving to others and myself? Do I think I need to be perfect to be loved? How could I love myself just as I am? What does self-acceptance look like to me? Have I isolated myself from others? Do I lack empathy or am I afraid of intimacy? Am I excessively drawn to others, in need of their approval and their love? Am I co-dependent, giving too much attention to the needs of others and not enough to my own? Am I enough now? If not, when will I be enough? These explorations can help us evaluate imbalances in the fourth energy center. As we come to know ourselves better, the answers to these questions can help us know when, where, and how our hearts need healing. Real love is an emotion of truth. Love has the power to heal all the wounds we may have suffered—if we allow it to ﬂow. 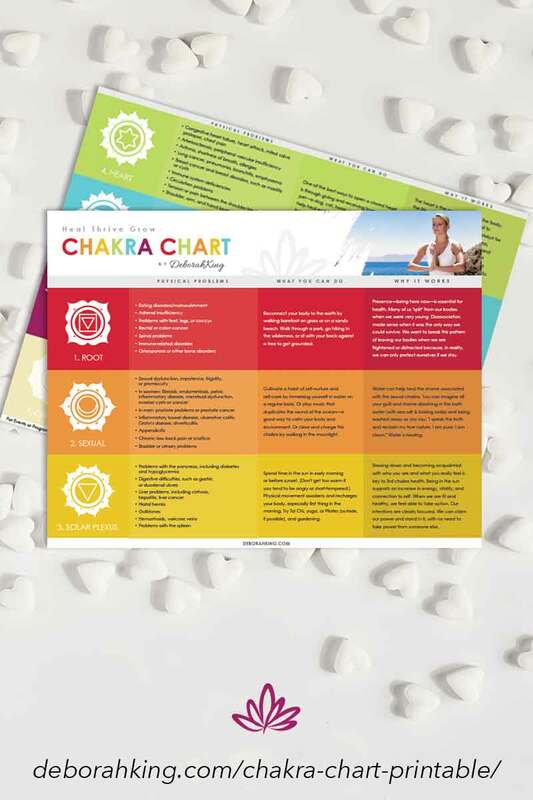 Sign up to get your free printable chakra chart pdf and start learning about your 7 chakras — including your heart chakra — today! Robots don't have chakras. Are you a robot? Your FREE Chakra Chart (printable PDF) is a convenient reference guide that you can use to learn more your seven chakras, including your heart chakra. Delivered directly to your inbox, use your free Chakra Chart to evaluate physical problems, such as a heart chakra blockage, and get insights on what you can do (and why it works) to resolve any heart chakra symptoms you are experiencing.